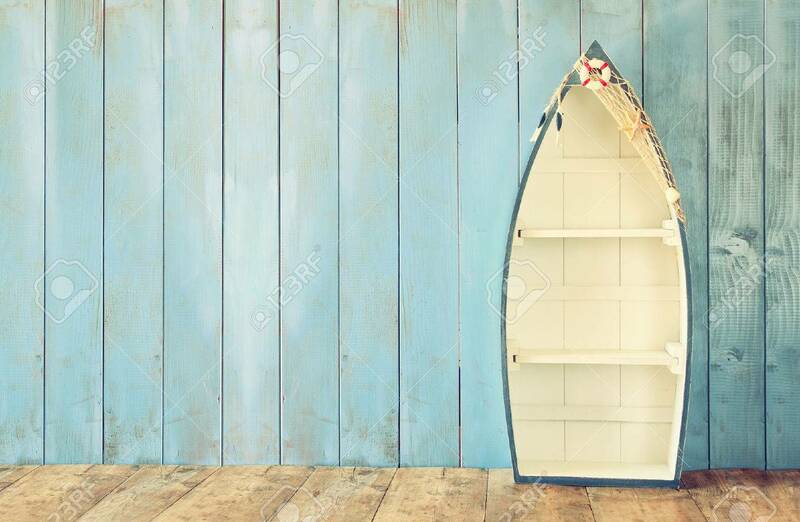 Nautical Boat Shape Shelves On Wooden Table. Product Display.. Stock Photo, Picture And Royalty Free Image. Image 54512710.